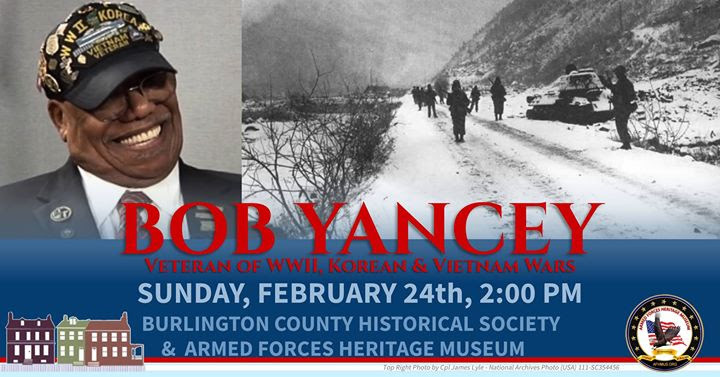 The Burlington County Historical Society is proud to partner with the Armed Forces Heritage Museum to bring you another program in a joint series, sharing the invaluable video interviews conducted as part of the AFHM’s Living History Project. Light refreshments to be provided. Admission is $5 per person. Program location is at the Burlington County Historical Society. Entrances are located at: 457 High Street and 454 Lawrence Street Burlington, NJ 08016. To RSVP, call (609) 386-4773 x1 or email burlcohistsocprograms@verizon.net.